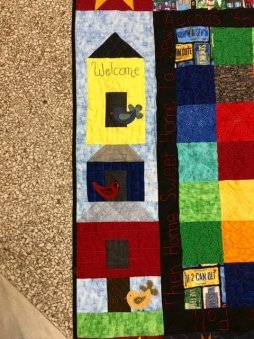 I did some reflecting on the gifting of quilts this week...and I had a few thoughts I wanted to share with you all today. We as quilter's have a wonderful talent and gift - right, who doesn't love something hand made? Over the years I've gifted quilts in celebration of new life (yes who doesn't love gorgeous baby quilts), in celebration of an accomplishment (graduations & retirements), in celebration of new love (wedding quilts), and in celebration of friendships (birthday & Christmas quilts). I've also gifted quilts to many of my family members, as many of you have. 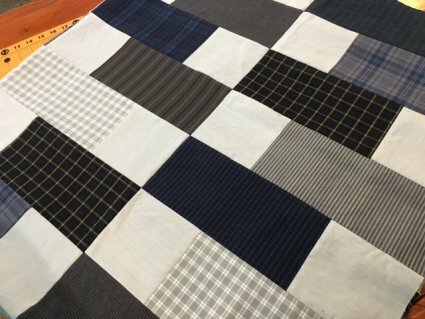 But this week I've been working on a quilt for a loved one who is facing a life obstacle - and it dawned on me, we spend so much time on "celebration" quilts that do we overlook the gift of "comfort" quilts? I'm sure we all know someone who could use a "comfort" quilt. So in reflection of this, I challenge all of you to find someone near to you who is in need of a daily reminder they are loved and gift them a "comfort" quilt. Because what better daily reminder of the love and care we have for someone than a snuggle quilt. So if you are up to the challenge share with us pictures of your "comfort" quilts - Facebook, Instagram, or email! We would love to see the spreading of quilt love! Here's a little pic of my simple "comfort" quilt! And now for the shop happenings! 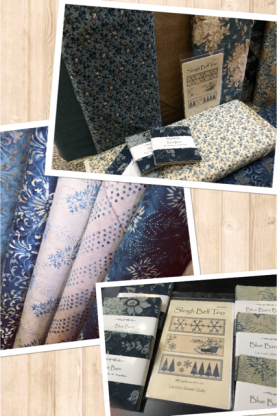 NEW sewing theme fabric is here! Check out My Sewing Room! These beautiful warm colors are sure to make up something fun! 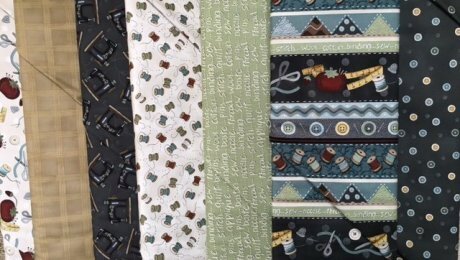 NEW from Edita Satir, the designer at Laundry Basket Quilts. Blue Barn batiks & prints. Gorgeous pre-cuts, kits, and more! Just in time to make something for the holidays! 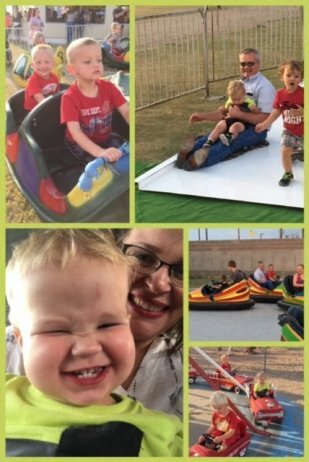 I took a break from sewing and took my small people to the Oberlin fair last night. What a fun time we all had! Blessings for a fabulous weekend - and don't forget to think about a "comfort" quilt! Spread the quilt love!